When San Diego Gas & Electric (SDG&E) began exploring the possibility of developing new solar energy programs, it found that fewer than 30 percent of its customers were able to take advantage of rooftop solar energy systems because they did not own a home, could not afford a solar energy system, or simply did not have the ability to install photovoltaic (PV) panels on their roof because of structural or shading issues. 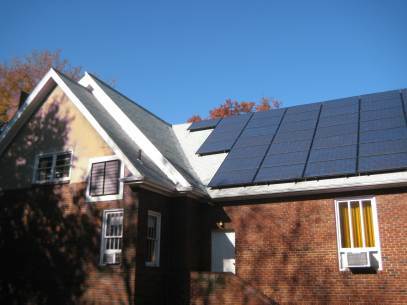 The first program is a community solar pilot program called "Share the Sun." Under this program, SDG&E will partner with solar developers to offer 10 megawatts (MW) of solar power capacity for subscription. SDG&E customers who participate in the program will purchase a share of the facilities' production capacity, and receive a bill credit for the value of the power produced. David Brosch of University Park Solar in Maryland and Anya Schoolman of Community Power Network discuss the growing number of community supported energy projects in the region. According to Schoolman "It takes a lot of sticktuitiveness to put one of these projects together." Forbes reports that a new type of solar financing has emerged that could provide an answer for this group. So-called solar gardens take the recent idea of group financing for solar projects and condenses it into a single project. 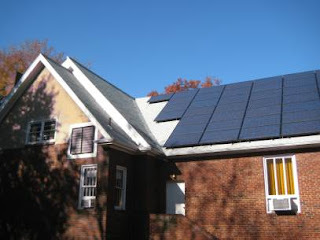 Whereas solar leasing offers homeowners the opportunity to own a solar installation at low cost, solar gardens instead offer just the solar electricity. The solar installer will build a large solar system on otherwise unused public property, potentially making use of undesirable lands such as landfills, and then sells limited shares in the plant panel-by-panel, similar to the way in which some communities have come to support local farms through co-ops. While traditionally solar panels have helped reduce electricity bills through net metering, in which the power used by a home or business is offset by the power produced by the solar installation, solar farms instead rely on virtual net metering. In this system, the production of the solar farm is divided by the number of shares and the output in a month is divvied between members based on the number of shares they hold on the account itself.